Now this is the kind of email I like to read… Thanks, Judy! 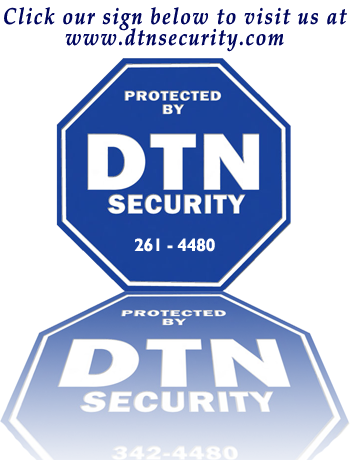 “I would like to praise DTN Alarm System Company for their concern, promptness and for the exceptional care my mother was given during her stressful time when her house was broken into through a basement window. “She had DTN Alarm System Company install her original alarm system back in the early 1980’s which included 5 basement windows and all windows and doors throughout her home. While she was away for a weekend her home was broken into through a basement window at about 2:00 AM. The alarm went off, police arrived and found nothing was taken from the house because of the alarm system and monitoring. Thank goodness my mother was not at home at the time as she is 88 yrs old and would have been terrified. If she did not have the alarm, the thief would have gotten in and who knows what awful things would have happened to my mother. “She called DTN Alarm System Company the next day, and they promptly sent their employee, Tony, over within a few hours. Tony assessed the situation and decided the best thing for the safety of my mother was to upgrade her alarm as the original one was very old. The cost was very reasonable for the safety of my mom. “We agreed and Tony decided to give her a wireless alarm, which entails her just having to push a button on a key fob, ie: off, stay, away, which are color coded. This is so simple for an 88 year old woman to use, she doesn’t have to remember a lot of codes or go to the wall panel and worry about setting the alarm off because she pushed the wrong button. Tony and Lillian were excellent and patient with my mom while teaching her the new system. “I want to commend this company for the care, understanding, patience and concern they showed my mom. I would recommend this company very very highly if you are looking for security in your home or the home of someone you love. This entry was posted in Appreciated. Bookmark the permalink. Subscribe To Our Alarm Guy's Home Security Newsletter! Online Dating – Offline Burglary! Ever wanted to ask a home security question and get an honest answer from someone, not just push their product or service? Ask a DTN home security expert! We're located in Rochester, NY, but we'll answer questions from anywhere. No charge. Just get in touch. Call out business office at 585-261-4480 or send an email to Our Alarm Guy.